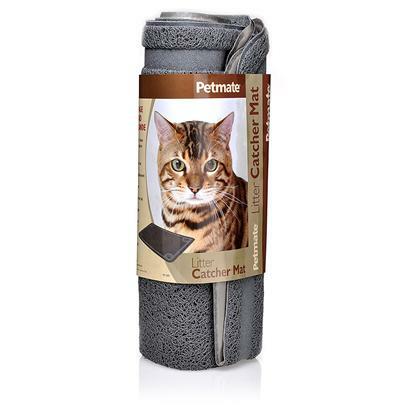 The Litter Catcher Mat traps litter scatter to help keep your cat's paws and the surrounding floor area clean. Created from a soft, rubberized material that is easy on paws and easy to clean. Place outside your cat's pan to trap stray litter. Available in a variety of sizes.